Pallets can be purchased in a variety of different materials. They have come a long way since the days of simple wooden pallets. Pallets come in a variety of shapes, sizes and materials including plastic, but for some, aluminium pallets are the best of the bunch. 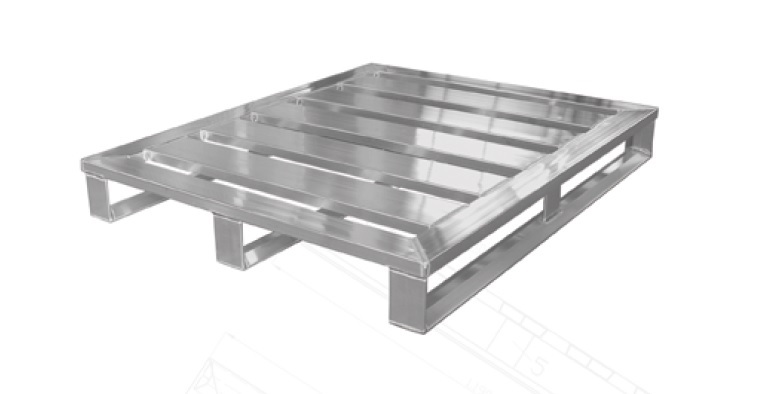 Aluminium pallets are usually used for storing and transporting heavy goods by air or sea, and they are particularly used by businesses that store goods outdoors. This type of pallet is also popular for using in walk in fridges and freezers. 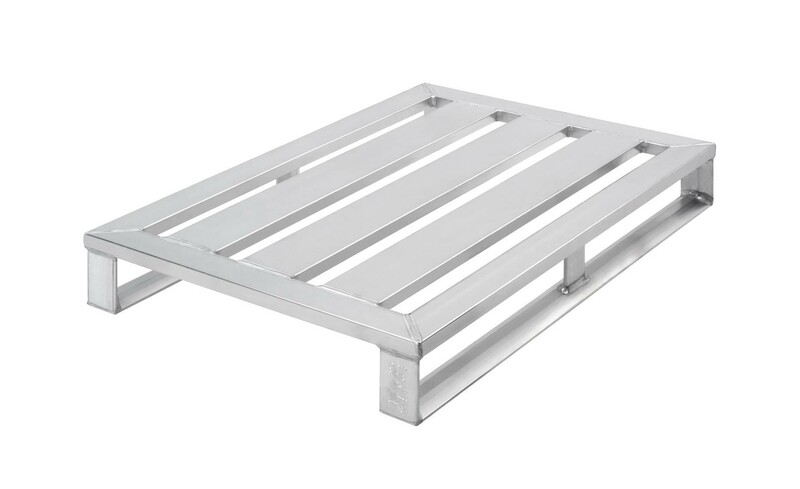 The most popular metal pallet is an aluminum pallet, as they are strong and hygienic. With any product there is some downsides and the aluminum palletis the same. If you are transporting a lot of products, you may find that your costs will increase, as aluminum palletsare significantly heavier than other types of pallets. With this in mind, you may also find that moving these pallets from A to B will be more labour intensive. They may also slow down how quickly you can load and unload your stock.However for you, like a lot of others, the pros may outweigh the cons. The individual circumstances of your business will be what the final decision ultimately boils down to when deciding which pallets you should purchase. Once purchased, an aluminum pallet requires little in the way of maintenance and can stand many years of transporting, even in extreme weather conditions. Investing in metal pallets is a smart business move as, while you may have to pay more initially, they are cost-effective in the long-run as you do not have to replace on a regular basis. 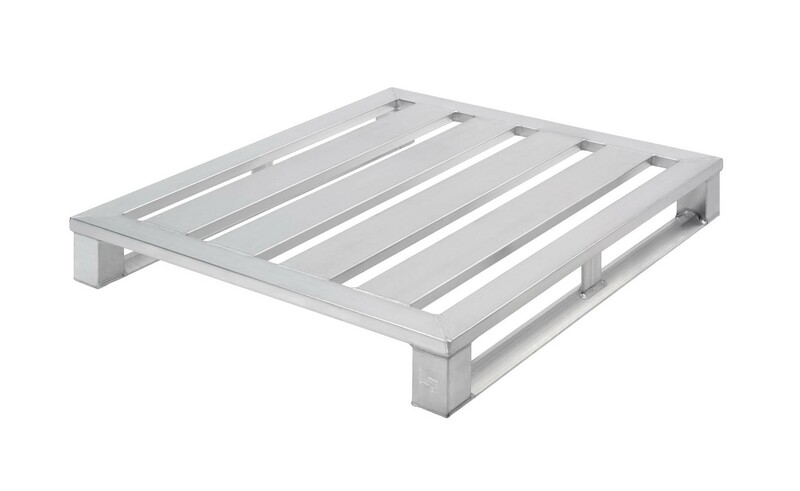 AIC Plastic Pallets LTD havealuminum pallets in mainly two sizes; 1200x800mm and 1200x1000mm but have also the capacity to supply in odd sizes depending on quantities. Both of which have been designed using innovative technology, by ourselves and our partners. AIC is an experienced pallet brand that you can rely on to provide durable products for your business. Feedback from our customers has confirmed that our focus on producing high-quality products has resulted in many satisfied customers. Even so, we are still dedicated to improving our technology on an ongoing basis. Our pallets are available to buy.However if you only need pallets in the short-term, there is an option to rent. Making the right choice when it comes to quality pallets will lead to a stress-free storage and transport process.This will save your company time and money. To enquire about any of products and to get advice on what pallet is best suited to your business, get in touch with us today.